As you begin to build your professional property management website a key component of your new online marketing strategy is making your website easy to find on the Internet. To do this, you need to effectively position your brand in search engine results like Google; this strategy is referred to as SEO, Search Engine Optimization, and is as important as creating your website. Imagine all the effort you spent inputting content to make your website look beautiful and attract the right renters, only to have it all go to waste because people can’t easily find you online. The good news is, there are simple and effective ways to boost your visibility online in search results, while simultaneously improving related marketing efforts with social media and rental advertising. This article provides guidelines as a starting point to begin your SEO for your property management website. 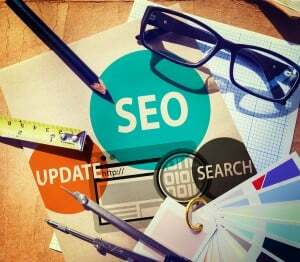 SEO requires constant monitoring to ensure your website stays visible in search results, as long as you take simple steps regularly you should not have a problem maintaining your position online. It takes a little more work up front and will continue paying off into the future of your business. To fully understand the point of your SEO needs, effort and results, let’s set up a relatable scenario. Imagine you own a rental business in Portland, OR. You want renters in Portland to find your website when they enter this search term into Google “available rentals in Portland, Or” or “property managers in Portland”. When an online searcher attaches a specific city or location to a search query the page that pops up on the search engine ranking page is called the Local Search Results. Goal: Get listed for Portland, OR local search engine results. Your website’s content contains the most important information for letting Google know your relevancy to the search query. When you design your website, add keywords to each page that identify your business, its services and its location. Include your business’ name, address and phone number to each webpage, not just your homepage and contact page. Beyond highlighting your rental business, include information about your local area as well to your website copy. This will associate your business with the nearby vicinity and more importantly give your post entail renters valuable information about the community they may choose to live. For example, note what section of town you have rentals in and what parks, restaurants, and area attractions are nearby. Not only will this added info help improve your website copy for new renters, it will also boost your search visibility as a local business. One of the best ways to boost local SEO is to ensure the availability and consistency of your business’ listing information across third-party sources. Google and other search engines constantly scan these sites to develop a stronger understanding of your business and location. If your business isn’t listed or the information is incomplete or inaccurate, you risk diminishing the value of how your business is ranked on search engine results. Important local business listings include Yelp, Facebook, Google Business and Yellowbook. If your business is already listed and has a profile on these sites, make sure you “claim” the listing and that the business name, address, phone number are posted and accurate. Update all the information and delete any duplicate listings or pages. You may find you need to contact the site owner in order to take control of the listing. Improve your listing to include photos, hours, contact information, your website address and a business profile of the services you offer. Make sure your listing is attached to relevant categories so it can be properly optimized and correlated with your industry. For optimized property management listings, include categories and keywords like rentals, real estate, property management and the city or location you service. Links that point towards your website or direct people away to other related content play an important role in your SEO strategy. Relevant links to and from your website establish authenticity and credibility to your website and show search engines how you relate to the location and industry you are trying to rank for. Make sure you only focus on links that are relevant to your industry as to not damage the credibility of your website. Create a directory of community resources like great nearby restaurants, stores, and community attractions, that you can link out too. This establishes your website as truly local to the community you want to rank for and provides your renters with valuable local information. Talk to local business to see if they will give your tenants a discounts for services that they will promote online and link back to your website. Contact the local Chamber of Commerce and city to be linked to on their websites as a resource for new residents to find housing. Ensure all your vacancy advertisements that are syndicated to rental listing sites include a link back to your website. Find industry related blogs and offer to write a guest post with a link back to your website. (If anyone wants to write for the Rentec Direct Blog, contact Kaycee for the guidelines). Encourage your renters and owners to leave reviews about their experience with your rental business. The more positive authentic reviews about your business, the better your business will appear in search. If you notice negative reviews are being posted about your management or properties, make sure to respond to them and truly evaluate if you need to change your practices. If the reviews simply come from a negative, angry renter you should still acknowledge their concerns and try to mediate. If the reviews are justified you should consider doing something about the problem. Review sites include Yelp, Google+, Google My Business, Facebook and others. Let your renters and owners have the option to post on whatever platform they are most comfortable with. Don’t harass people for reviews, they should always come naturally to prove authenticity. Never post fake reviews. You will be discovered and you could lose your visibility in search and your credibility in the industry overall. Social media is becoming a vital role in modern day marketing. Since social media is already an online platform, you need to attach your new website to your social media accounts. Social media platforms like Facebook, Twitter, Google Plus, Instagram and Pinterest are a great way to be found online and engage with your potential renters and audience. 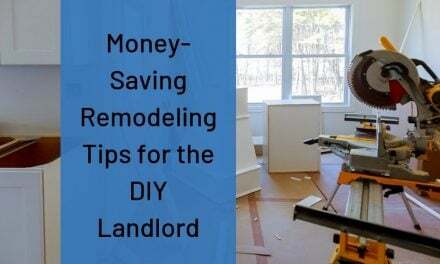 Share property photos, renter tips, discounts, promotions, inspection updates, and community events on your rental business’ social media pages. Develop a social media strategy that involves regular posts and engagement. The more followers and engagement your receive, the higher your pages will appear in search. As you will see, a lot of SEO requires a big effort up front to design a website with relevant copy and content related to your location and industry. After a website is created, in order to appear high in local search results you need to engage with your residents on review websites and seek available links to and from your website. SEO is an important part of any business’ marketing strategy. 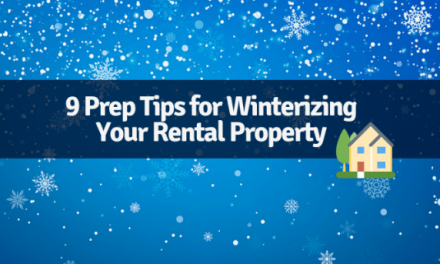 We will continue to provide helpful articles and SEO tips specific for property managers and landlords so your business can stand out online and attract the best renters. SEO services usually include some SEO packages which will suit the needs of individual online businesspeople. To find out which package is the best for your business, do not hesitate to ask a lot of questions to the service provider. An SEO company that makes its client’s satisfaction top priority will be more than happy to answer all of your questions clearly and professionally.